Why do we love the movie "Lost In Translation" so much? The Japanese setting? Maybe. Bill Murray? Absolutely! There's something about it that makes each viewing better than the last. I knew that if I ever made it back to Tokyo, it would be my duty to recreate my favorite scenes from one of best films out there (in my amateur opinion)! The only thing I missed out on was ordering black toe sushi. 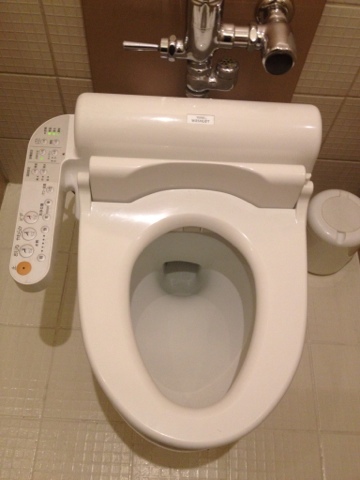 First of all, the Japanese toilet is a legend on its own. With warm seats and a built in bidet, why leave the bathroom? I could literally fall asleep on the toilet. But that's another story. 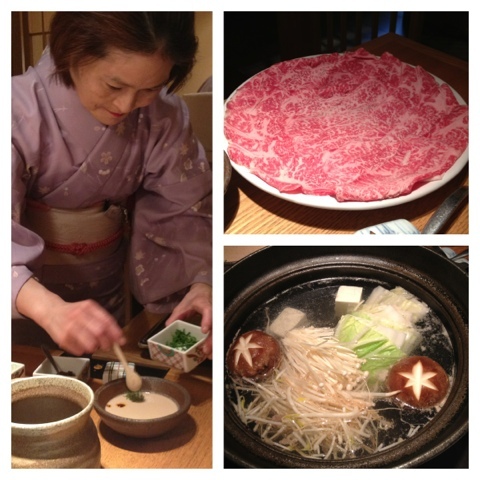 We went to a traditional restaurant in Shinjuku where sweet little ladies in kimonos served us. They didn't speak a word of English but helped us set up our hot pot. We did as Bill Murray and pointed to the menu photo of a plate of raw meat. We tapped the menu with two fingers and said "two of these". 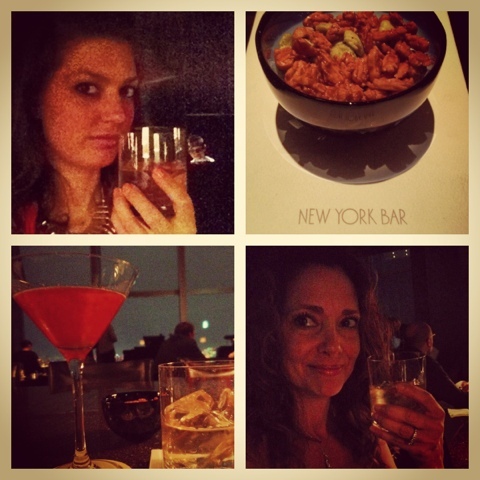 We went to the New York Bar located on the 52nd floor in the Park Hyatt in Shinjuku for the best view of Tokyo. Live jazz bands perform nightly (like Sausalito) in this swanky lounge. We drank a glass of Suntory while overlooking the clear skyline of Tokyo at night. We left after one drink because we don't have a Bill Murray budget ($22 cover when the jazz band comes on). The only thing we were missing were pink wigs! We sang "Brass in Pocket" just like Charlotte. Then we went through singing some of the top requests such as "Call Me Maybe" followed by Nicki Minaj, Lady Gaga, Whitney Houston, and Michael Jackson. The building that Karaoke Kan is in is pretty tall, so each room has windows overlooking the city. 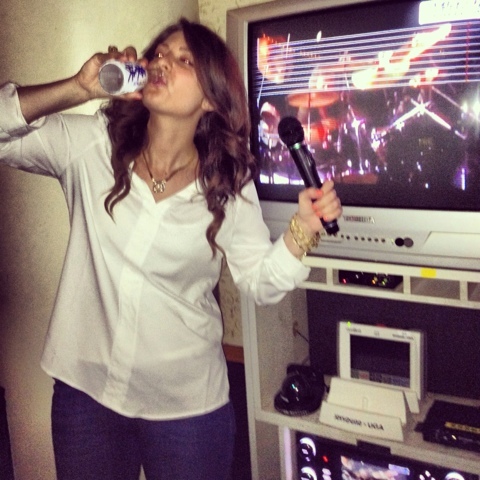 After sake and plenty of water (for the vocals) we dropped the mic and stumbled home.